Just a few days before they leave the country for their concert tour in the USA, Ladysmith Black Mambazo performed in the Nkomazi. Grammy award-winning group, Ladysmith Black Mambazo, has visited different schools in Nkomazi, Mpumalanga, to motivate learners to work hard. The visit forms part of the Lady Smith Black Mambazo Mobile Academy programme. The aim of the programme is to provide aspiring young musicians with an opportunity to learn from the group. They visited four schools to demonstrate to learners their singing skills. The group received a warm welcome from the pupils. Speaking on behalf of the five-time Grammy award-winning group, Sibongiseni Shabalala says they believe that sharing their story with young people will go a long way in motivating them to make their dreams come true in music. Amambazo were accompanied by a local group of Isicathamiya called Good News. A member of Good News, Meshack Cossa, says they will take over from where Ladysmith Black Mambazo left off and visit more schools to inspire young people who want to become Isicathamiya musicians. The tour was organised by music promoter in the province, Johan Sibiya. Sibiya says musicians such as the Lady Smith Black Mambazo can play an important role in motivating young people from disadvantaged rural communities. 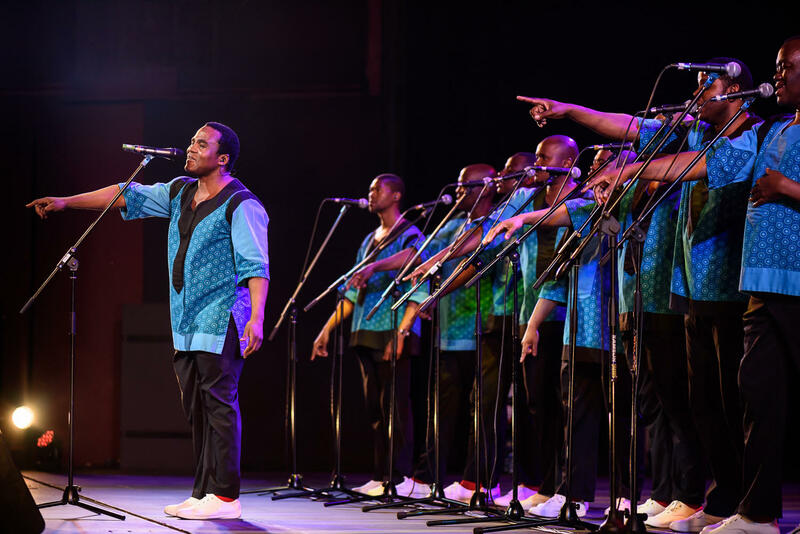 Ladysmith Black Mambazo will be performing in the United States for the next coming three months.